Add A Retail Finish To Your Garments! 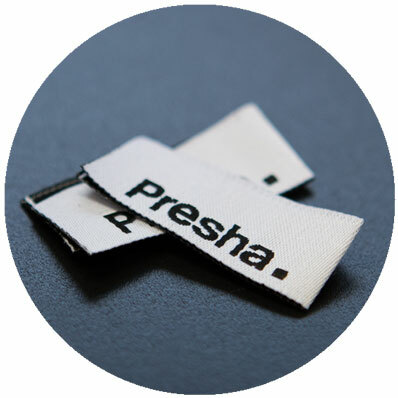 Custom garment labels are a great way to add your branding, & a professional finish to your products. Check out some of our most popular options below & feel free to contact us for a competitive quote! 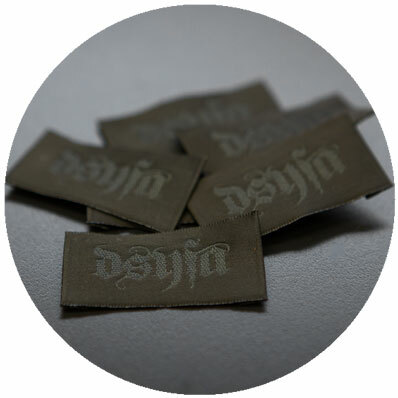 We can also sew in your tags, please take a look at our relabelling page for more info on this service. 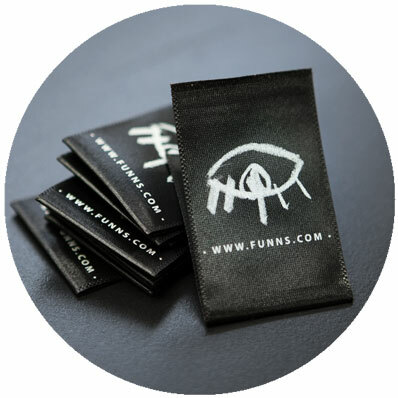 Woven care labels are a great way to add a professional retail quality finish to your garments. We can manufacture these in a wide variety of shapes, sizes, colours, & finishes depending on your personal requirements. If you have something specific in mind, drop us an email & we can sort that for you. 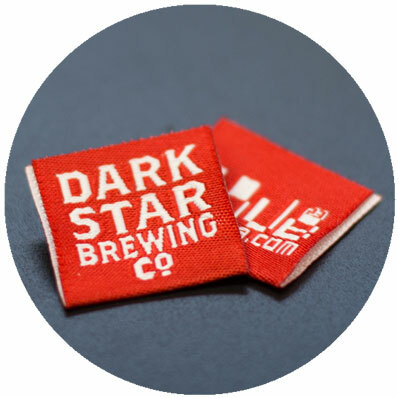 Our minimum order for woven labels starts at 250pcs, but if you're using our relabelling services, we can hold any remaining labels for future orders. Please head over to our relabelling page for more info on this service. 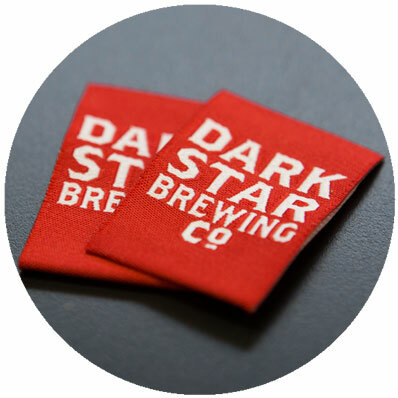 Woven hem tags are a great way to add extra branding to your products & can be applied on a wide range of garment types & placements. Popular placements include sleeves, bottom hems, hoodie strings, hoodie pockets & beanies. 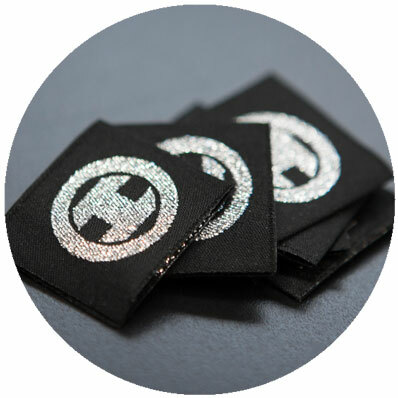 Our minimum order for woven hem tags starts at 250pcs, but if you're using our relabelling services, we can hold any remaining tags for future orders. Please head over to our relabelling page for more info on this service. 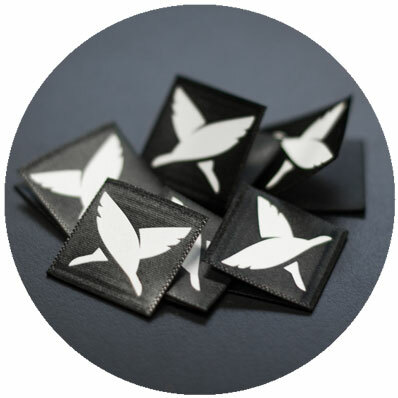 Some customers prefer printed labels, as the design will have crisper edges than a woven tag & it's possible for finer details to be produced than its woven alternative. Our minimum order for printed labels starts at 250pcs, but if you're using our relabelling services, we can hold any remaining labels for future orders. Please head over to our relabelling page for more info on this service. 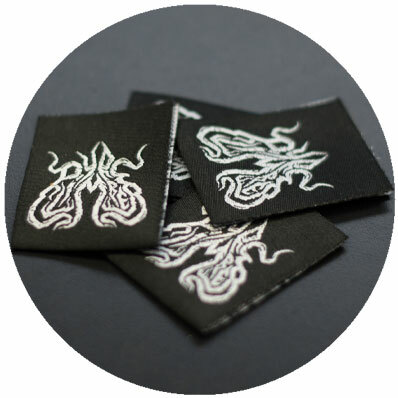 Occasionally clients will prefer printed hem tags, as the design will have sharper edges than a woven tag & it's possible for finer details to be reproduced. Our minimum order for printed labels starts at 250pcs, but if you're using our relabelling services, we can hold any remaining tags for future orders. Please head over to our relabelling page for more info on this service.